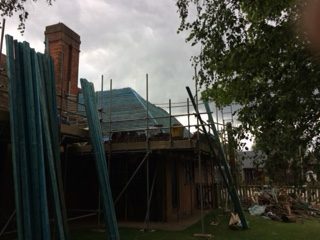 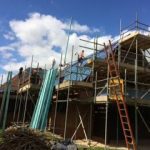 I hope you have all noticed the installation of the scaffolding at the Village Hall which signals the start of the hall refurbishment program. With the support of local volunteers, local fundraising and the generosity of Wren and Community Chest, work has finally begun to refurbish the North Marston Village Hall. 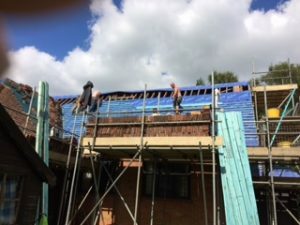 For many years now the roof has been failing into disrepair causing water damage inside and making the paths unusable at times, due to loose tiles. 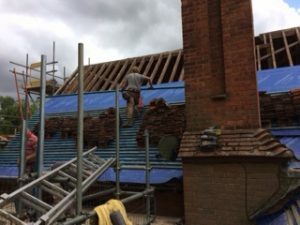 This will all be a thing of the past and the new roof will be completed in August along with new heating, windows and re decoration throughout.